Confidently indulge in a beautiful selection of gentle or vibrant tones to maximise your very own colour statement . For unlimited colour creation and personalised results. Technical and creative guidance incorporated at every stage of your colour process from consultation to colour product after care for unrivalled results. Please call the adam hair & beauty team to schedule a colour consultation if you require advice on any aspect of colour. Ultimate bespoke foil finish, crafted application for a perfect result in an array of beautifully illuminated tones and shades to accentuate and complement your own natural skin tone and personal colour preference.Subtle or fashion application. All the above include Three colour tones and/ or blonde shades necessary to create the best result. Fresh colour, fresh shine, hair by hair. A multi dimensional light-reflecting colour. Photo reflective colourants allow the hair to absorb and reflect the light, at the same time creating brilliant shimmering results. Express service 20 minutes development time. Enhance and add richness to natural or coloured hair with a variety of beautiful tones. Ensures the hair fibre remains soft and supple.Incell TM strengthens the cuticle and reinforces the natural defences of the hair, giving a remarkably smooth and ultra shinny quality to the hair surface.Lasts 6 to 8 weeks. Express service 15 to 30 minutes development time. A true semi permanent in every sense. Perfect results with zero commitment. Symbio replenishes your hair with natural plant extracts, leaving it visibly enhanced, repaired and respected. Blends first signs of white hair and perfect on natural or coloured hair. Beautiful combination of tones and shades. Express service – 15 to 30 minutes development time. Lasts 10 shampoos with no visible regrowth. or clear , for a weightless top coat of clear gloss shine for a mirror-like finish. Complete head application, for total change of colour either subtle or high fashion tones or shades. Guaranteed 100% coverage on white hair, also perfect for natural virgin non-white hair.Advanced Ionene G tm and Incell technology gives a unique alliance between absolute colour, absolute care and absolute confidence. 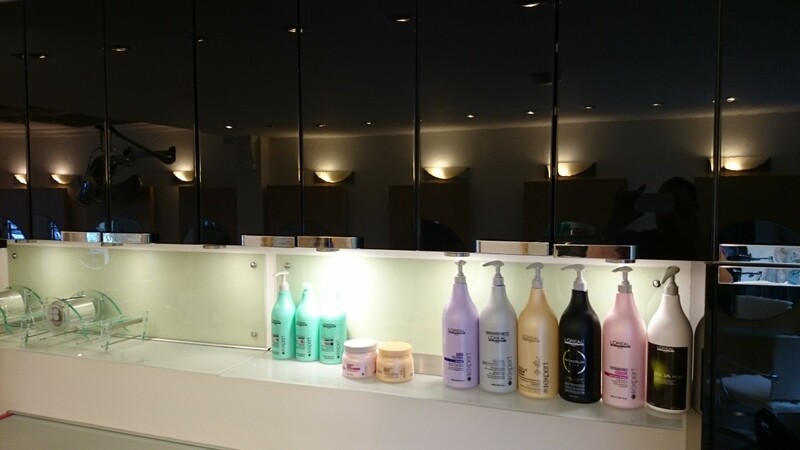 Colour maintenance for continuing a shiny, healthy, perfectly maintained salon finish. Please call to book a colour consultation so we may discuss any colour issues that may have arisen and need re-assessing for complete colour satisfaction. Absolute repair masque hair strategy. A deep acting nourishing and intensely repairing treatment to restore softness, shine and radiance. Nothing can be more important than your wedding day hair. We have two hair-up master stylists in our team to give you that ‘wow’ factor on your special day.Bridal make-up and bridal nails can be incorporated with in your wedding day salon appointment, just ask for details.